Without a doubt one of the world’s greatest cities, San Francisco, CA is vibrant, eccentric, spectacularly beautiful, and rich in history. The city is culturally and ethnically diverse, full of magnificent parks, free attractions, museums, breakfast spots and wedding venues. It is known as a place that marches to the beat of its own drum, where there is never a dull moment. A popular destination for families and foodies, the city is home to a variety of great restaurants, including Italian, vegetarian, burgers and romantic eateries. 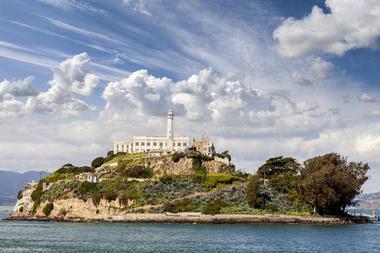 Here are the best things to do in San Francisco, CA. 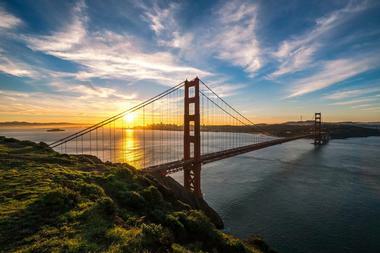 Called one of the seven wonders of the world, the Golden Gate Bridge is San Francisco’s best known landmark. Everyone can recognize its magnificent span of orange steel from its appearance in numerous movies and TV shows. When it was completed in 1937, its two 746 foot towers that anchor the bridge’s single-suspension were the tallest buildings in San Francisco. The suspended road is supported by two 7,000 foot cables. The engineering marvel was completed in spite of increasing opposition and it now connects San Francisco with the Marin County communities. Pedestrians and bikers are allowed on the sidewalks of the bridge but skateboards, roller blades and roller skates are not. On both sides of the bridge there are vista points with spectacular views and excellent photo opportunities. 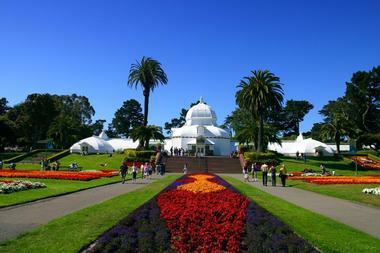 The big green heart of San Francisco, Golden Gate Park is 1,017 acres of beautiful flora and fauna. This popular park is a favorite weekend destination, a perfect spot for lunch or practicing tai chi, and is a great place to take a date or visitors. The park is incredibly diverse, carved out from ancient windswept sand dunes by park engineer William Hammond Hall and renowned master gardener John McLaren. The park includes lush gardens, a breathtakingly beautiful Victorian Conservatory of Flowers, a Japanese Tea Garden, the San Francisco Botanical Garden, Stow Lake, a beautiful Dutch Windmill, Oak Woodlands Natural Areas, the California Academy of Sciences, a Music Concourse where numerous concerts take place throughout the year, and so much more. 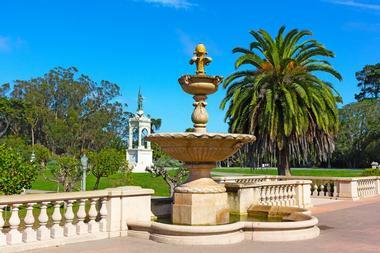 Even if you live in San Francisco, you are going to be discovering new wonderful spots in the park all the time. For 218 years, until 1994 when it became a park, Presidio was a military base for Spain, Mexico and the USA. 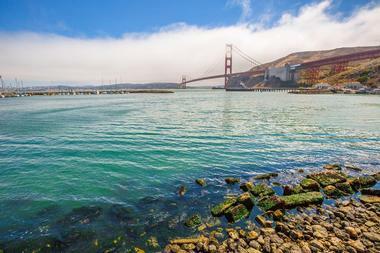 Today, Presidio is a Historic Landmark, located at the base of the Golden Gate Bridge. Presidio is a lush, verdant park rich in diverse plants, some of them rare, with two hundred kinds of birds and a number of well-preserved historic structures. What was once an Air Service/Air Corps/Army Air Forces airfield is today Crissy Field Center, an urban environmental education center with rich programs for schools and summer camps. There is also the Visitors Center, with rotating exhibits about the history of Presidio. Presidio is great fun to walk around, with its centuries old architecture. Things to do include visiting the national cemetery and the historic airfield, strolling through shady forests or walking to the beach. With such close proximity to the Golden Gate Bridge, Presidio offers a unique view of the city landmark. 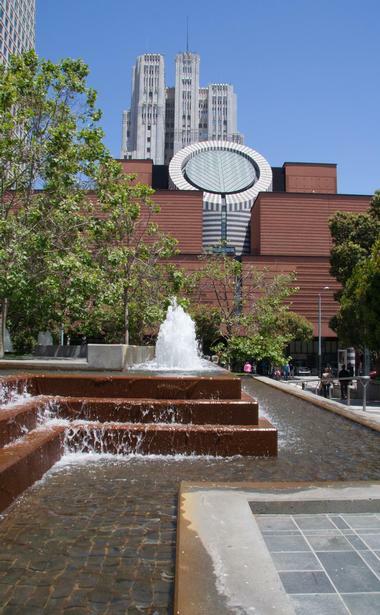 The San Francisco Museum of Modern Art is home to a renowned collection of contemporary and modern art, completely focused on 20th-century art and artists. The museum’s permanent collection has more than 33,000 sculptures, paintings, photographs, design, architecture and media arts. The museum’s exhibit space covers 170,000 square feet, making it one of the largest modern and contemporary art museums in the world. The Museum started its life in 1935 with a modest 36 artworks donated by Albert M. Bender. Some of the museum’s biggest treasures are works by Henri Matisse, Paul Klee, Andy Warhol, Jackson Pollock and Ansel Adams, among others. The museum organizes about twenty exhibitions and three hundred educational programs every year. Rain or shine, every Tuesday, Thursday and Saturday, the Ferry Plaza and Ferry Building come alive with over a hundred vendors selling local produce, crafts, freshly made breakfast and lunch, and a lot of fun. 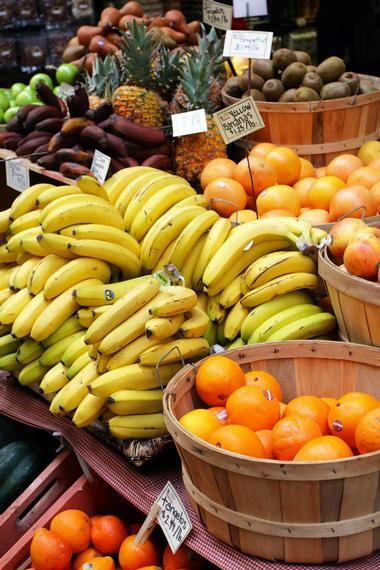 You will find local farmers selling their organic seasonal produce, artisanal food, flowers, fresh cheeses, honey, meats, fruits, veggies and much more. There are Market-to-Table demos by popular local chefs, and the Center for Urban Education about Sustainable Agriculture’s (CUESA) Food Shed education tent is there to offer a deeper understanding of what sustainable food systems are. 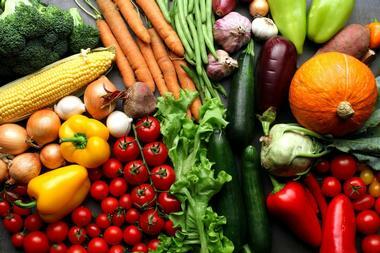 The Ferry Plaza Farmers Market is a California-certified farmers market managed by CUESA. Before becoming home of the infamous penitentiary, Alcatraz Island was the site of the country’s first lighthouse, offering the most magnificent views of the San Francisco skyline, as well as the first American-built fort on the entire West Coast. It also serves as the home of a large bird colony, and features gardens and tide pools. Today, the main reason why thousands of visitors take a scenic ferry ride across to the Alcatraz island is the infamous Alcatraz Federal Penitentiary, a maximum high-security federal prison that operated from 1934 to 1963. Off-limits to the public for many years, the abandoned prison fires the imagination, which is mostly fueled by numerous movies and stories of notorious criminals who spent their years on the Rock. The prison was home to 1,576 of America's most dangerous criminals, Al Capone being one of them. 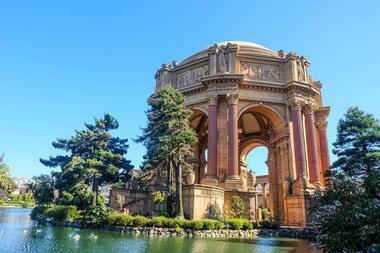 Located in San Francisco’s marina district, The Palace of Fine Arts is a strange, magnificent, over-the-top building created in 1915 as an art exhibition space for the Panama-Pacific Exposition. Architect Bernard Maybeck was inspired by some famous Roman and Greek ruins and surrounded his creation with a lagoon, gardens, and walking paths. The end result was so beautiful and became so popular that, after the exhibition, when other pavilions were demolished, the Palace of Fine Arts was preserved and continues to be used for art exhibitions but also for weddings and lavish parties; this building is a photographers’ dream. The Palace is still standing on its original site and is one of the most recognizable San Francisco icons. Located in Golden Gate Park, surrounded by lush gardens and expanses of green space, the California Academy of Sciences is a San Francisco museum no visitor should miss. All in one place you can see a planetarium, an aquarium, and a natural history museum – the only place in the world to offer so much under one roof (and on that roof you can see wildflowers). Four floors are occupied by a real, thriving rainforest and the aquarium is home to a spectacular coral reef. After exploring all of the rich diversity that Earth has to offer, step into the planetarium and see our planet from an entirely different perspective. With more than 26 million specimens and 400,000 square feet, the California Academy of Sciences is one of the biggest natural history museums in the world. Almost all tours of San Francisco eventually lead to Fisherman's Wharf. This popular waterfront neighborhood includes the northern waterfront from Ghirardelli Square and Van Ness Avenue east to Pier 35. Funky city streetcars will take you there directly, or you can just walk downhill, where all the fun is. 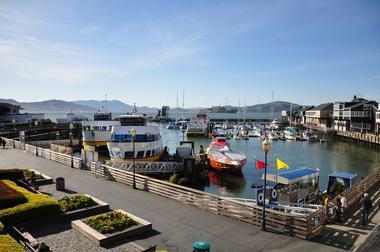 While it is now a popular tourist area, Fisherman’s Wharf is still an active home to fishermen and their fleets. There is a lot to do at Fisherman’s Wharf – it is home to Pier 39, Ghirardelli Square, which contains the famous chocolate factory, Madame Tussauds Wax Museum, a Ripley's Believe it or Not museum, the San Francisco Maritime National Historical Park, and so much more. You will find the city’s best seafood restaurants here, and a noisy sea lion colony just next to Pier 39. The best time to come is the Fourth of July to watch the spectacular fireworks display over the water. Located in the Nob Hill neighborhood at the Washington-Mason powerhouse and car barn, the Cable Car Museum contains a collection of historic cable cars, mechanical displays, and photos in exhibits that feature the San Francisco cable car system. The still working cable cars are also considered a working museum - You can two restored cars from the Clay Street Hill Railroad, and a perfectly restored car from the Sutter Street Railway from the 1870s, the only existing car from the original cable car company. Established in 1974, the museum is part of the complex that also includes the Ferries and Cliff House Railway Co. building built in 1887 with the cable car powerhouse and the car "barn." 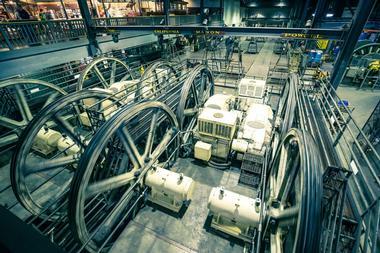 Visitors can see the powerhouse from two overlook galleries – access is not allowed. San Francisco Botanical Garden is a unique, spectacularly beautiful 55-acre urban oasis in the heart of San Francisco’s Golden Gate Park, with more than 8,000 different kinds of plants from around the world. The Bay Area’s climate with its mild temperatures, dry summers, wet winters and famous fog, combine to provide optimal conditions for the growth of plants. The garden can recreate the conditions of tropical cloud forests of Southeast Asia, South and Central America, and even New Zealand’s high elevation palms thrive here. These unique natural advantages are in large part responsible for San Francisco Botanical Garden’s world-known, diverse and unique botanical collections. There is a Mediterranean collection with California native plants, and plants from Southwestern Australia, South Africa and Chile, a magnolia collection, a collection of primitive plants, Dwarf Conifers, succulents, plants of Dry Mexico, and fragrant plants in The Garden of Fragrance. Reserve some time for visiting Pier 39 while strolling along the San Francisco waterfront, there is a lot to do in this lively area. Enjoy the street performers – musicians, jugglers, comedians and magicians – someone is always putting on a live show. 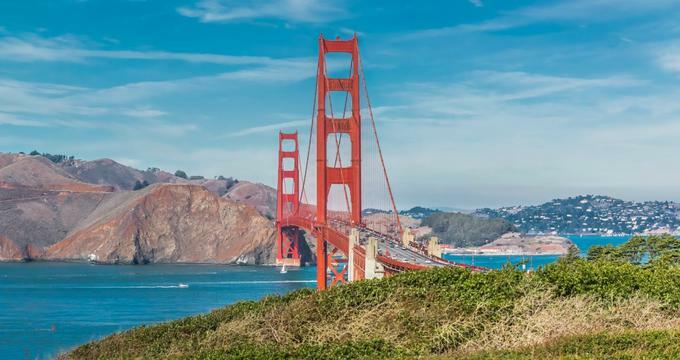 Take the kids to see the noisy colony of sea lions who have taken up residence here, taste the freshest seafood in one of the 14 excellent restaurants, or take a one-hour cruise with Blue & Gold Fleet to see the Golden Gate Bridge and Alcatraz from a completely new perspective. 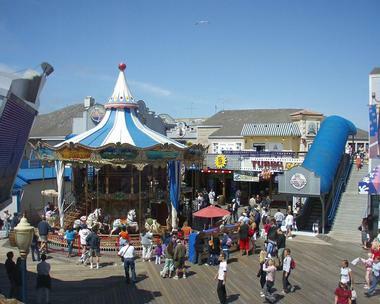 Check out Magowan’s Infinite Mirror Maze, let the kids hop on the brightly lit San Francisco Carousel, make some music at the Musical Chairs or just keep strolling through the pier until something grabs your attention. There is always so much going on. Just the name gives you a hint that you are in for a fun, albeit eccentric, time. Emperor Norton's Fantastic San Francisco Time Machine is a unique, informative and fun walking tour of San Francisco’s historic spots. 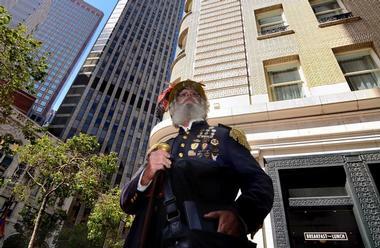 It is led by self-crowned and appointed Emperor Norton I, Emperor of the United States and Protector of Mexico, a colorful but very knowledgeable character San Francisco is famous for. The two mile-long tours take about three hours and depart every Thursdays and Saturday from Union Square. You will learn about Lotta's Fountain, Union Square, Maiden Lane, The St. Francis Hotel, the 1906 earthquake and fire, and about Emperor Norton, of course. The Children’s Creativity Museum is a place where kids between the age of 2 and 12 can spend time exploring technology and art through hands-on activities, exhibits, and workshops. The museum is located in Yerba Buena Gardens, in San Francisco. The innovative concept allows children to create their own media with programs like robot coding, stop motion animation, design challenges, music video production, and art projects. The Animation Studio is where kids use clay to mold characters for their own animation movie. In the Tech Lab they learn to program a robot in an introduction to coding, while the Innovation Lab challenges kids’ critical thinking by giving them a problem to which they have to find a solution. The Music Studio is a sort of karaoke where kids can perform on a stage. All the activities are challenging, innovative and, most of all, great fun. The Tenderloin Museum tells the story about the Tenderloin district, one of San Francisco's least known and most misunderstood neighborhoods. The district consists of 31 blocks in the heart of the city, full of immigrants, rebels, artists, and activists. The Tenderloin Museum presents a colorful mosaic of an American city in all its aspects. The Tenderloin's turbulent history has been regularly ignored in history books about San Francisco. 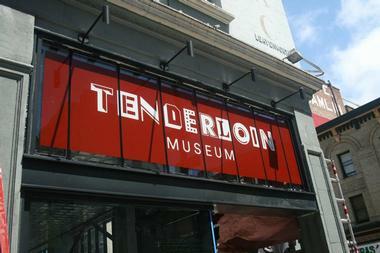 The Tenderloin Museum tries to change that by offering visitors famous walking tours, showing interactive exhibition space, or organizing a range of public programs. The stories they tell are about the legendary venue Blackhawk Jazz Club, immigrant stories of people from around the world who made the Tenderloin their new home, the role of the district as a center of LGBTQ activism and the 1966 Compton's Cafeteria Riot, and much more. Operated by CUESA (the nonprofit Center for Urban Education about Sustainable Agriculture), Ferry Plaza Farmers Market is a certified farmers market known for the diversity and high quality of its fresh farm products as well as prepared and artisanal foods. Every Tuesday and Thursday, but especially on Saturdays, some of the best San Francisco chefs can be seen shopping at the market. The market, in operation since 1993, is a great place for people to meet the farmers and learn about food and its path from the field to the plate. Saturday is the biggest market day, with over 100 vendors offering their wares in and around the historic and still-working 1898 Ferry Building, in addition to a number of free courses and education programs organized by CUESA. 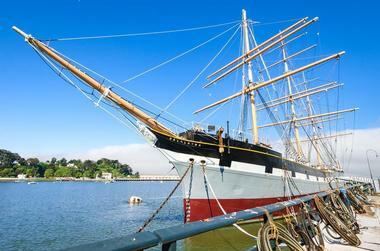 Located in the Fisherman's Wharf neighborhood, San Francisco Maritime National Historical Park is a huge diverse facility that vividly brings to life the Pacific Coast maritime history. Start your exploration at the visitor center, located across the street from Hyde Street Pier, in the park's historic waterfront warehouse. 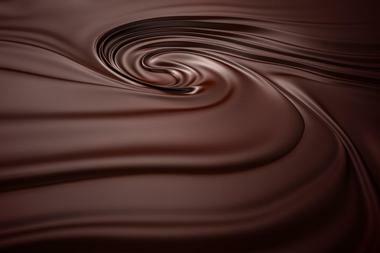 Chocoholics, hold on to your heart: Dandelion Chocolate is a chocolate factory in San Francisco’s Mission District where you can taste chocolates from all over the world, learn how they are made during the factory tour, or even take one of their courses and get your hands covered in chocolate! Dandelion does it all: They source cocoa beans from small farmers and cooperatives all over the world, including Peru, Ecuador, and Madagascar, then roast, crack, sort, grind, and do whatever else is necessary to turn the rough purple-brown beans into chocolatey deliciousness. The unique flavors are the result of the different origins of the beans. Dandelion’s owners carefully craft each chocolate bar, cake, cookie, and drink by hand in small batches, using only one kind of bean at a time to ensure that the unique, individual flavors of the beans come through. Visit Dandelion to learn how chocolate is made, taste the exquisite small samples included in the tour, and load up on nicely packaged chocolate for later. In the heart of Golden Gate Park, there is a place of intense beauty, an oasis of serenity that will awake all your senses. The Japanese Tea Garden will greet you with the sounds of a waterfall surrounded by blooming azalea, an intoxicating smell of lush wisteria, and the sight of regal Japanese lanterns and stone statues. 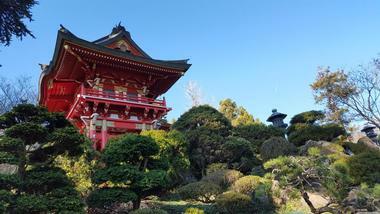 The Garden was created as an exhibit called “Japanese Village” for the 1894 California Midwinter International Exposition. When the exposition ended, Japanese landscape architect Makoto Hagiwara continued to create and maintain the Japanese-style garden, becoming its caretaker, pouring all of his passion, talents and even personal wealth into creating a marvel we can enjoy today. During WWII, he was unjustifiably sent to an American concentration camp, along with many other Japanese-Americans, and was never allowed to return. The Mechanic's Institute Library and Chess Room is one of San Francisco most enduring institutions, originally founded in 1854 to offer supplemental vocational school needs for gold miners out of work after the boom of the California Gold Rush. Throughout the 19th and 20th centuries, the institute offered technical and artisan courses focused on topics ranging from woodworking and ironwork to electrical science and applied mathematics. Today, a general-use library is offered for member and visitor use, including ebook and music collections. 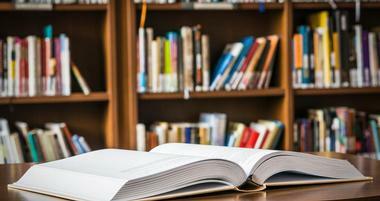 Book discussion groups are held at the library throughout the year, along with a variety of author events and poetry readings. The annual CinemaLit film series presents nearly three dozen public showings of films a year, while the oldest continuously-operating chess club in America brings in world champions and chess celebrities for matches. Pier 24 Photography is a modern photography museum along San Francisco's Embarcadero. The Diane Arbus exhibition Revelations (2003) at the San Francisco Museum of Modern Art inspired the Foundation’s first photograph. The museum, which is operated by the Pilara Foundation and opened to the public in 2010, presents annually-rotating exhibitions by top national and international photographers. The exhibitions are primarily drawn from the Foundation’s extensive permanent collection, which highlights photographic works by prominent 20th and 21st century artists around the world. Exhibition catalogues are also published annually in correlation with special exhibits. The museum is free and open to the public throughout weekdays, accessible via advance appointment. The Interval is kind of a bar where you come for a drink and spend hours browsing through the enormous bookshelves, quirky clocks, and fascinating modern art. It is a bar, a coffee shop, a mad scientist’s lab, a start-up work space, or your favorite quirky library. The large two-story industrial space in San Francisco’s Fort Mason is also an event location and the headquarters of the Interval at Long Now organization. 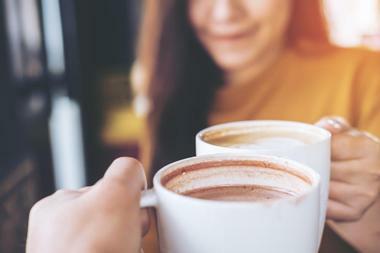 Find out what they do and think while sampling one of the masterpieces from the head cocktail geek Jenifer Collieau, have a great cup of Java, or nibble on the light munches they serve. The whole place is so fascinating you might not even notice the wonderful views of the Golden Gate Bridge. 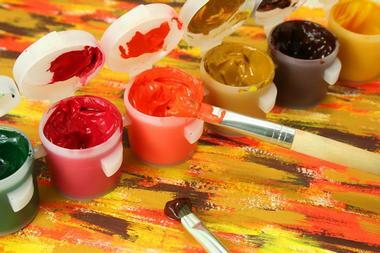 Spa Radiance has been helping San Franciscans stay young and beautiful for the last 40 years. 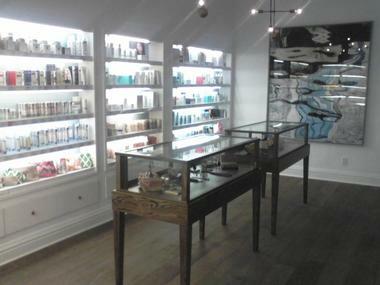 Founded by mother-daughter team Galina Rovner and Angelina Umansky, Spa Radiance is a day spa with a relaxing space and minimalist décor located in San Francisco’s up-and-coming Cow Hollow district. While soft and soothing, the spa is known for the latest, almost hard-core, anti-ageing and beauty treatments. The highly trained beauty therapists use everything from dermaplaning and microdermabrasion to LED light therapy. Spa Radiance has developed a reputation as the premiere destination in San Francisco for anti-aging facials. They also offer massage, makeup application, and waxing and carry a range of products for all skin types, with trained beauticians to help each client select the right face washes, serums, toners, lotions, creams, and other beauty products. 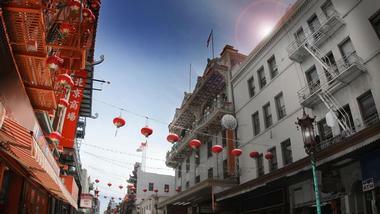 San Francisco’s Chinatown is the oldest and second largest Chinatown in North America. As in other Chinatowns, it was and still is the starting point for many newly arrived Chinese immigrants. About 15,000 Chinese people live within 20 city blocks, making this the densest part of an already very densely populated city. Large numbers of residents do not speak English, especially the elderly. Chinatown is also a cultural center of the community, with original architecture, Buddhist temples, social clubs and associations. For tourists, Chinatown is a major cultural experience and visitors come in large numbers, often by tourist buses, which make this crowded, densely packed part of the city almost impossible to navigate. For San Francisco locals, Chinatown is the place to go for a Sunday Dim Sum or an occasional dinner, and to participate in the Chinese New Year, which is considered everyone’s holiday. 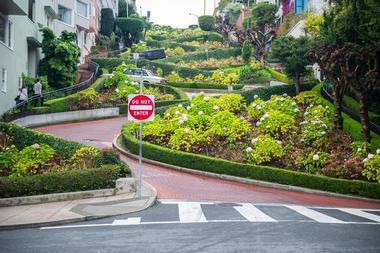 Picturesque and always surrounded by colorful blooms, Lombard Street has starred in a number of movies, mostly involving breakneck car races thundering down its steep, twisting pavement. Located a few blocks from the San Francisco Art Institute and numerous other San Francisco attractions such as North Beach, Fisherman’s Wharf, and Chinatown, Lombard Street is one of the most visited streets in the city. Although it is called the “crookedest street in the world,” San Francisco has one street even more crooked: Vermont Street on Potrero Hill. It is difficult to understand, but the strange switchbacks were created to make the street, which was considered by residents as too steep, safer to navigate. Alamo Square is a park and neighborhood in San Francisco, California. The highly coveted residential neighborhood covers four city blocks located at the top of a hill, overlooking downtown San Francisco. It is famous for a number of substantial mansions and architecturally distinctive houses, such as a row of colorful Victorian houses bordering the park known as the "Painted Ladies.” Alamo Square Park has a tennis court and a kids’ playground and is a popular hangout of local residents, tourists and dog walkers. The view from the park on a clear day is spectacular and it is possible to see San Francisco City Hall, the Transamerica Pyramid building and even the tops of the Golden Gate Bridge. Located on a vantage point overlooking the Golden Gate Bridge, Fort Point was built by U.S. Army Engineers between 1853 and 1861 as part of a crucial defense system for the protection and defense of San Francisco Bay. Its guns have never fired a shot in a battle, but the fort has witnessed Civil War, earthquakes, the construction of its glamorous neighbor the Golden Gate Bridge, repurposing and reuse during World War II, and a listing as a National Historic Site. You can explore the fort on your own, or join one of the Fort Point docents for a half-hour tour to learn about the lives of soldiers stationed at Fort Point, the Fort's interesting and unique architecture, the plans of defense for the Golden Gate, and much more. There are two informative videos you can watch in the theatre next to the bookstore: One about the fort’s history and one about the construction of the Golden Gate Bridge. Coit Tower is a 210-foot Art Deco tower built of reinforced unpainted concrete located in San Francisco’s Telegraph Hill neighborhood, in the heart of Pioneer Park. The tower was built in 1933 and is listed in the National Register of Historic Places. The tower’s interior in decorated with a series of fresco murals painted by 27 different artists and two paintings created and installed later. The murals, which illustrated the depression era, were controversial at the time, and some, considered too leftist and provocative, were painted over. Guided or unguided tours of the frescoes are available. The view of the city from the top of the tower is quite spectacular – there is an elevator which will take you up for a fee. The park around the tower is a pleasant place for a stroll. The tower got its name from its benefactor Lillie Hitchcock Coit, who left one-third of her estate to the city of San Francisco for the purpose of adding to the beauty of the city she had always loved. The Twin Peaks, named Eureka and Noe, also known in Spanish as “Los Pechos de la Choca,” which translates to “Breasts of the Maiden,” are two hills about 925 feet high and 600 feet apart in the geographical heart of San Francisco. Twin Peaks is also the name of the surrounding neighborhood, with Twin Peaks Boulevard running around the hills. The view from the peaks is spectacular, and most people drive in order to enjoy it, but it is much more fun hiking up and experiencing the original San Francisco vegetation as it was before all the development. Hikers can see coastal scrub and grassland, coyote brush, lizard tail, lupine and pearly everlasting, and if they’re lucky, can spot the endangered Mission Blue Butterfly, low flying white-crowned sparrow, coyote and brush rabbits. The Walt Disney Family Museum features the life of Walt Disney and the history of his corporation, tracking the rise of his multibillion dollar company, from Mickey Mouse and Snow White to Mary Poppins and Disneyland. The Museum celebrates Disney’s life and accomplishments and his influence on many generations of kids. The museum combines personal stories and professional accomplishments with exciting and interactive experiences for the children. Some of the permanent exhibits are the early drawings of Mickey Mouse, the "Multiplane Camera" Disney developed for the early classics such as Snow White, and 26 Academy Awards statues. The museum is located in beautiful Presidio, with wonderful trails through eucalyptus forests to the San Francisco Bay.